Mind Not Found (Huang-po) | eWakening now! Most people allow their mind to be obstructed by the world and then try to escape from the world. They don’t realize that their mind obstructs the world. If they could only let their minds be empty, the world would be empty. Don’t misuse the mind. If you want to be free of the world, forget the mind. When you forget the mind the world becomes empty. When the world becomes empty the mind disappears. If you don’t forget the mind and only get rid of the world, you only become more confused. Thus it is said all things are only mind – But mind cannot be found! When you can’t find a thing you have reached the final goal. Why run around looking for liberation? 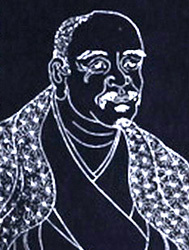 – Huang-po, commenting on the Diamond Sutra. This entry was posted on May 29, 2011 at 1:08 am and is filed under buddhism, enlightenment. You can follow any responses to this entry through the RSS 2.0 feed. You can leave a response, or trackback from your own site.